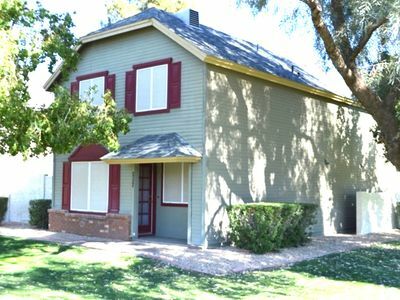 4BR Scottsdale House - Minutes from Old Town/Camelback! 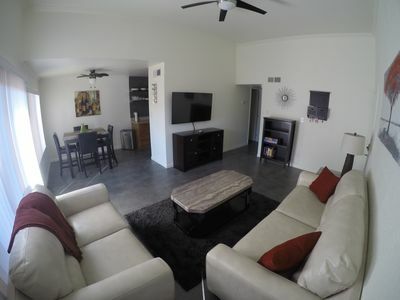 Have the ultimate Arizona getaway by escaping to this beautifully remodeled 4-bedroom, 2-bathroom vacation rental house in Scottsdale that comfortably sleeps up to 8 guests. Located minutes from Old Town and Camelback Mountain, you're sure to find the ultimate adventure here! Boasting 1,581 square feet of tastefully appointed living space, this gorgeous home is the ideal size for families, friends, or couples traveling together. With upgrades throughout, this open and spacious house features stylish, high-end decor, french doors, granite countertops, and all the amenities necessary for the ultimate home-away-from-home experience. The fully equipped kitchen is adorned with a travertine backsplash, gas stove, espresso colored cabinets, and an island with extra cabinet space. The chef will enjoy preparing some of your favorite home-cooked meals here when the group is not dining out at one of the delicious restaurants in the area. With black out curtains in all of the bedrooms, you're sure to experience great nights of sleep while staying here. Stay up-to-date on the latest news stories with the wireless internet access, and keep entertained during your downtime watching shows on the SmartTV in the living room. Early risers will look forward to sipping their morning coffee outside in one of lounge chairs on the covered patio, before heading out to peruse stores in Old Town or hike one of the trails up Camelback Mountain. When you're not out and about, enjoy balmy afternoons in the private backyard, sipping a refreshing beverage and cooking a burger on the gas grill. 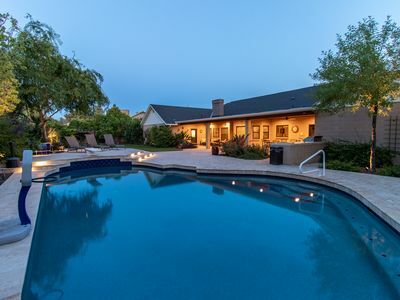 After a day spent relishing the outdoors or exploring Old Town Scottsdale, you'll love relaxing back at home. 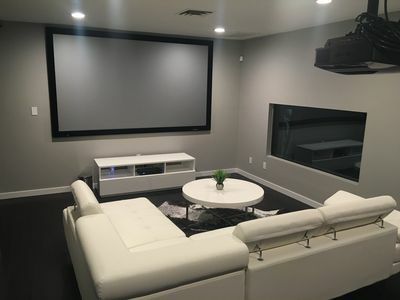 Gather with your guests in the inviting living room, where you can watch some of your favorite movies on the flat screen TV. From this superb home, you'll be in the perfect location to explore all that the area has to offer. An outdoor enthusiast's dream, you're a short distance away from golfing, hiking, mountain biking and more. Only a half mile from Old Town, delicious restaurants, unique shops, enchanting galleries, and busy bars are all within arm's length. If you enjoy sports, walk or drive to the Scottsdale Stadium, where the San Francisco Giants practice during spring training. 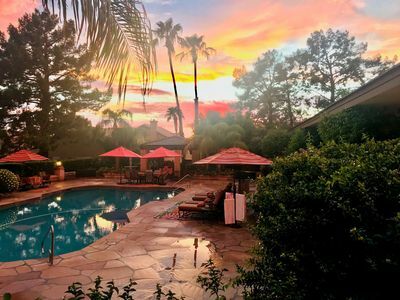 Regardless of how you choose to spend your time in Scottsdale, you're sure to have a memorable getaway when you stay at this fabulous vacation rental house! 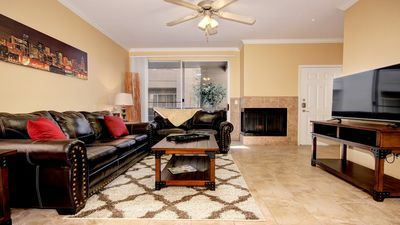 - Amenities include a fully equipped kitchen, 3 flat screen smart TVs, wireless internet access, private backyard, patio, patio furniture, gas grill, in-unit laundry machines, and more! 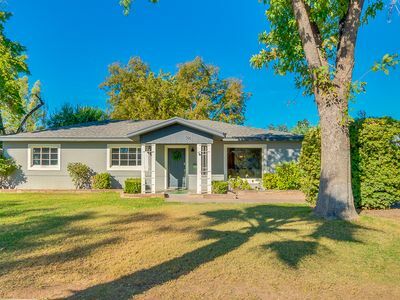 - Fantastic Scottsdale location a half mile from Old Town! Easy access to hiking, mountain biking, Continental Golf Course, Fashion Square Mall, restaurants, movie theaters, and more! 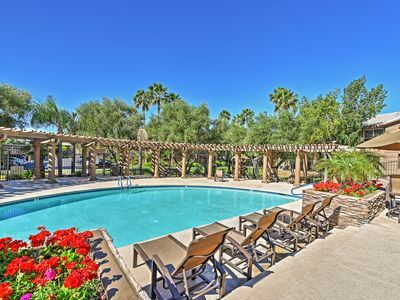 Kierland Condo, Resort Style Living! 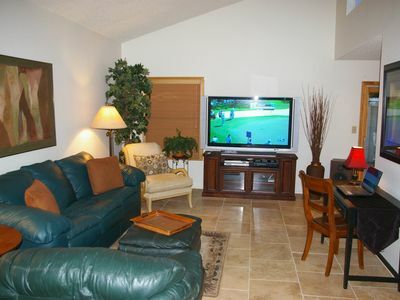 N. Scottsdale rental, lots of outdoor activities. Golf, RZR,Biking,Hiking,boat. Great Location! 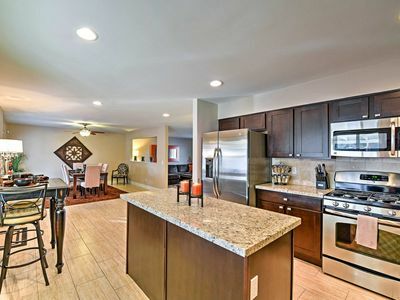 Condo In Old Town Scottsdale! Hidden, Lush Treasure Close to Everything...Your Own Private Resort!